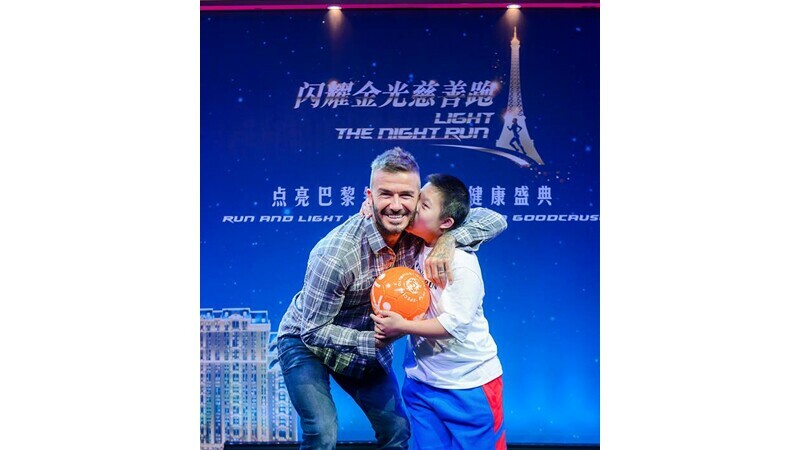 Sports star and international businessman David Beckham officiated at the inaugural Light The Night Run charity vertical race in support of Special Olympics Macau held at The Parisian Macao's half-scale Eiffel Tower on April 28, as part of a family fun and fitness day incorporating sport, wellness and health education. Hosted by The Parisian Macao, over 530 professional athletes and amateur sports fans signed up for the event, which included a Full Run where contestants needed to first run around both The Venetian Macao and The Parisian Macao before tackling the 750 stair climb to the Eiffel Tower's Level 37 observation deck finish line, and a Tower Fun Run which incorporated just the tower climb. Thanks to the generous support of the participants and Sands China Ltd., the Light The Night Run event saw a donation of MOP 150,000 to Special Olympics Macau, which provides year-round sports training and athletic competition for people with intellectual disabilities.